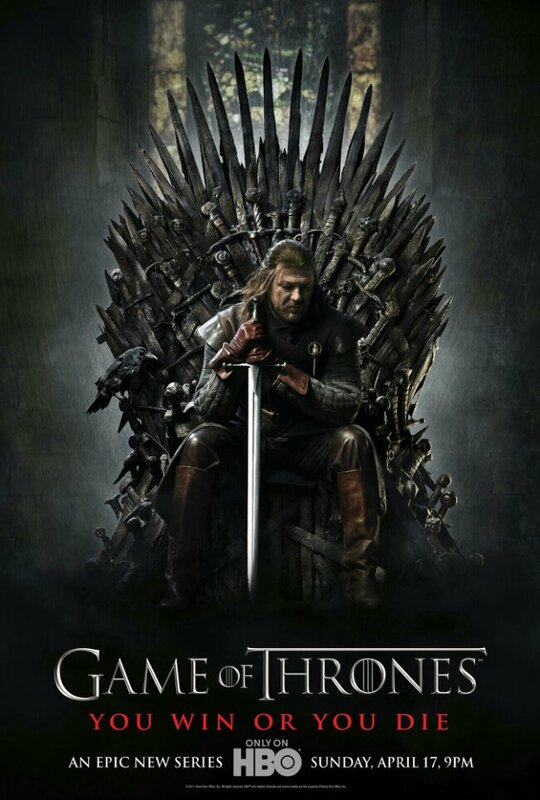 I know I’m ridiculously late to the scene, but today I have started my quest to watch Game of Thrones. Which I’m finding amazing by the way. Of course, I knew it was going to be astounding from all the hype on the internet about it (sites like Imgur have been ridic crazy about it, and unfortunately I’ve encountered spoilers along the way, but what else could I expect leaving it this long to watch it?) I’ve just put episode 5 of season 1 into my DVD player – Sean Bean whatta man – and I can tell its going to be a long but interesting night. I need to be up early too; I’ve started a Wii Fit regime (almost nostalgic right??) because it’s summer and I’m at home for the next three weeks which means I shall be eating lots and doing nothing ie. watching Game of Thrones. I’m really looking forward to watching the rest of it and afterwards may have to steal the books off my Mum (whose birthday it was today, just sayin’). Tell you what though, it doesn’t half make me want to watch Lord of the Rings, not just because of Beanie… ha.